Creating energy from nothing. No wonder they killed this guy. This one’s quite the intriguing conspiracy theory, so let’s start with the hard facts. Stefan Marinov was a physicist, researcher, writer and lecturer who strongly believed in and worked towards the possibilities of free energy and perpetual motion. Perpetual motion, for those that are unfamiliar, is the motion of bodies that continues indefinitely. This, according to theories established thus far in scientific history, is impossible due to friction, and a perpetual motion machine (that runs without an energy source) would violate two laws of thermodynamics. He was born in Sofia, where probably due to his political dissent, he was deemed unstable and subjected to psychiatric “treatment” until he finally received a passport and escaped to Belgium. For those that believe he could not have committed suicide, this would be the scene-setter, making him seem like an unstable character, capable of taking his own life in a critical moment. 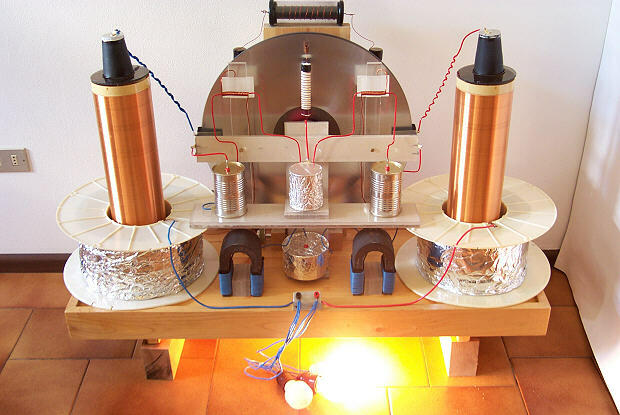 This was further supported by a letter he wrote to “German Federal Chancellor Helmut Kohl in support of a German company, Becocraft, that was doing research into “free energy” technologies and had recently been the target of lawsuits. In the letter, Marinov threatened to set himself on fire at the steps of the German parliament if Kohl was not willing to intervene in favour of Marinov’s associates.” Clearly, he was very passionate about his work, but he wasn’t doing himself any favors with his drastic tendencies. He boldly claimed he had disproved the theory of relativity and fought hard to publish his work, but to no avail. Naysayers argue that his final paper proved his theory invalid, which disappointed him to the point of suicide. Others believe he was really onto something, especially with the proof he claimed to have within the Mathernita commune in Switzerland (which used a perpetual motion machine, but refused to share it with the world). Because of his discoveries and extensive research, he was killed to prevent him from further spreading the news of free energy. Who’s right and who’s wrong? Will we ever really know the truth and will his work ever see the light of day…? Нека започнем с чистите факти преди да намесим теориите и конспирациите. Така. Стефан Маринов е бил физик, изследовате, писател и лектор, чиято работа била силно фокусирана върху алтернативната енергия и създаването на вечен двигател – Перпетум Мобиле.За тези, които не знаят – това е вечно движещо се тяло, което генерира енергия от нищото. Неверниците твърдят, че подобно нещо не е възможно да съществува – създаването му би нарушило два закона на термодинамиката! Ученият е роден в София, където, вероятно поради политически причини, е обявен за психически нестабилен и принудително е затворен в психиатрия. Този инцидент, заедно с гневното заплашително писмо, което изпраща до немския федерален канцлер Хелмут Кол в защита на фирма, която прави експерименти свързани с безплатна енергия, са основополагащи доказателства за по-нататъшното обвинение срещу Маринов, че е способен на самоубийство.